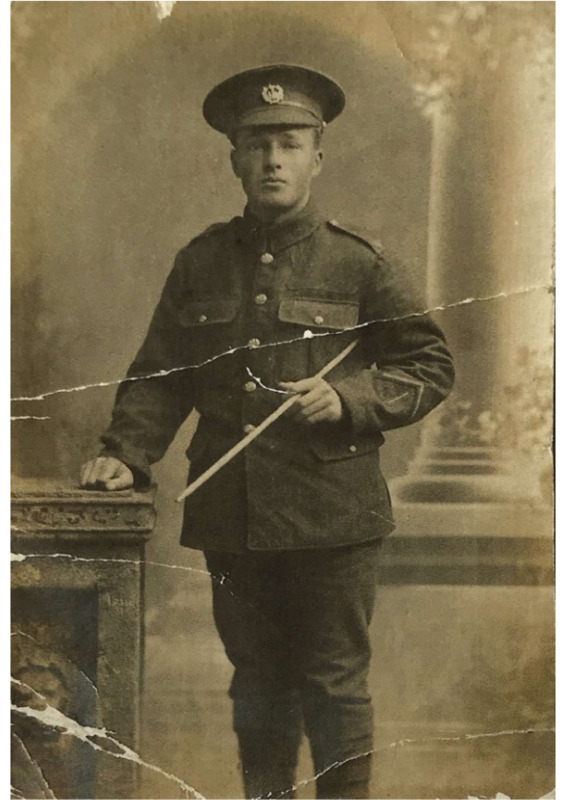 My great great great uncle, Private Arthur David Pullen, was in the First World War and was 24. Arthur David Pullen was born in 1894, the son of Mr and Mrs W.J. Pullen of the high street, west Mersea. A fisherman in civilian life, he was always known by his second name, David, and earned the nickname ‘Dash’. He was one of the many Mersea men who answered Kitchener’s call for volunteer and in Autumn 1914 he enlisted at Colchester, joining the 10th battalion, Essex Regiment. 1914/15 Star, this medal was awarded to any British soldier that fought against Central European Powers between 1914 & 1915. Military Medal, this medal was awarded to soldiers for bravery on land or sea. Arthur was the only person on the island to get this medal. War Medal, this medal was awarded to British soldiers who had served full-time in the Armed Forces or the Merchant Navy for at least 28 days between 3 September 1939 and 2 September 1945. Victory Medal, this medal was awarded to soldiers who received the 1914 – 1915 star and to most of those who were awarded the British War Medal. Earlier in the day Arthur David Pullen was wounded in the face and neck by shrapnel. Despite his wounds, he carried on towards the enemy trenches where he captured, single handedly, seven Germans. He then proceeded to take them back to Headquarters, which were two miles to the rear. On was shot as he tried to escape, but he was successful in bringing back the other six. For his gallantry he was awarded the Military Medal. To 12866, Private A.Pullen, High street, West Mersea. It is with great pleasure that on behalf of the Commanding Officer I forward you a parchment awarded to you by the Divisional General for your gallant conduct in the early stages of the Somme Battle. The Commanding Officer, Officers and men of the regiment congratulate you and hope that you are nearly fit to come and fight the Huns again. It may interest you to know that the regiment has added still more glory to its name. (Signed) R.A. Chell, Captain and Adjutant.